When looking for the Best Web Hosting for Small Business you have a large number of options to choose from. Starting from the local hosting and continuing to the international hosting companies, you can find dedicated solutions which are easy to work with. 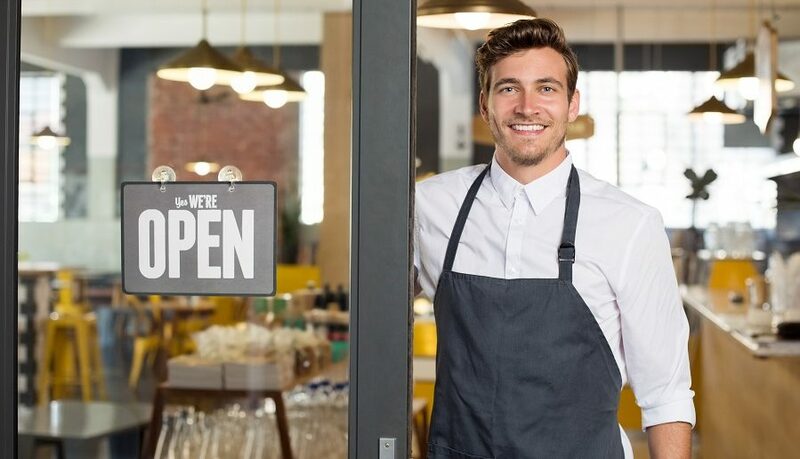 Many small businesses know the struggles of real-life situations where you have to work with tight budgets but when you also want to offer a good product. In many cases, small business owners don’t even know exactly the type of website hosting they need. Unless you can estimate the traffic or resources you need for your new website, it is complicated to establish the type of hosting package you typically need. Even more, it is essential for you to know what to expect, especially when you are just starting out. How to Choose the Best Web Hosting for a Small Business? When it comes to making the right decision with web hosting, it is important to know that you can find various packages which work well for your needs. This means that you can simply choose a host which is easy to work with, easy to establish and which is within your budget. Here are the main types of hosting available so you can see which type of hosting would best suit your company’s web needs. Shared hosting represents one of the most popular types of hosting on the market. It is the most affordable solution as it does not require considerable resources to run. This means that you can experience good results at an affordable price. But what is shared hosting? Shared hosting represents a server which holds multiple websites. From an affordability point of view, this represents a great choice with a low monthly price. From a performance point of view, this might not be the fastest solution, especially since you will be sharing the resources of the server with other websites. When it comes to security, most websites are safe enough but they are still more vulnerable than a dedicated hosting solution. When it comes to a small business, you have to define what your traffic can look like. This can be a good indication on the resources you need. If you are just starting out with a small website which will only attract a small number of visitors, than a shared hosting solution is all you need. Even more, you might even end up saving considerable amounts of money, especially since you will not need to gather considerable resources to get started. Reseller hosting represents the package some companies offer if you want to find your own customers and sell the hosting further. You thus act as an intermediary company and this can be a good solution if you are trying to start your own hosting company without actually investing in a physical premise with servers and security. VPS hosting represents a step above the shared hosting package. It comes to meet the needs of the security orientated small business as it will create a virtual barrier between your website and the other websites which are hosted on the same server as if they would be actually hosted on different hard drives. From a financial point of view, this means that you will need to pay more per month than with a regular shared hosting solution. But at the same time, you can find the right approach when you want to see the best results in terms of balancing safety and a set budget. 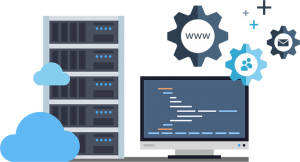 Dedicated hosting represents one of the best solutions when it comes to a website which needs considerable resources and which expects higher traffic. Thus, this type of hosting works best when it comes to better overall safety and most importantly, it can handle large traffic numbers and maintain good loading speeds. Dedicated hosting finds your website alone on a server and it thus represents a great solution when you want to maximize your results from the perspective of performance, when you are always ready for the best results. When it comes to the background benefits, dedicated hosting can come with better direct support from the hosting company. Thus, you have the ability to choose a hosting solution which is easy to use and which allows you to maximize your results in terms of customer support and it this case, when something goes wrong you can get a faster response. Generally speaking, this problem is starting to fade as due to competition, hosting companies actually offer great customer support for any type of hosting package. It is also worth noting that a dedicated hosting solution costs considerably more than a shared hosting solution. The final price depends on many factors. But most importantly, it represents the resources which go into a dedicated server and it can cost a few times more per month than a shared hosting solution. From a security perspective, you are also safer with a dedicated hosting solution. Although total safety might be hard to ensure, you can still get to experience better safety measures as you will not be so vulnerable with attacks on nearby websites such as with the shared hosts. Even more, it is also worth noting that you can get the ability to maximize your results simply by ensuring better overall preparation and dedicated hosting can be one of the top solutions for this reason. However, a very small business might not afford to pay for dedicated hosting and this is where you need to ensure you actually make the most of your budget, you need to understand what you can pay and what your needs are. You can also make an estimation of the resources you need so that you are always prepared for the best results. 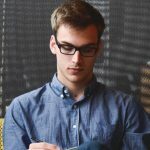 So which are the best hosting solutions for small businesses to choose from? Inmotion hosting offers a range of hosting solutions which are easy to understand and which can work great for smallbusinesses. The company offers shared hosting, VPS hosting, reseller hosting, dedicated hosting and even WordPress hosting. While shared solutions are very affordable, you will need to pay more for dedicated hosting as you might expect. The company offers some of the best traditional hosting packages which even include WordPress hosting. These solutions prove to be a great option for many types of businesses and according to your budget, you can choose a solution which works well with the thousands of customers the hosting company has. If you also want to ensure the best protection, you can choose between VPS and dedicated web hosting according to your budget. SiteGround offers a good number of hosting solutions and it represents an option with a very low budget or an option of high quality according to your needs. It offers the basic shared hosting but it also offers cloud and enterprise hosting which is perfect when it comes to large scale needs. You also get a free SSL certificate with each account. Even more, you can add SSD drives for extra speed with each type of account. The company offers a good solution for small business needs as it manages to offer great usability and the capacity to work with different budgets for different needs. This is why it is important to consider that it can be one of the best options, especially when you look for solutions which are easy to work with and which come with 24/7 customer support both by phone and by the classic ticket/email system. BlueHost offers one of the most popular packages you can find. The established company has solutions for shared and dedicated hosting with all the options in-between which include VPS hosting. It is also recommended for new customers to use services which allow them to experiment and this is where the money back guarantee of the company can prove of high value. With a good range of affiliate programs as well, you can work with the company as a reseller as well. The company represents one of the trusted names for WordPress and this is why they have a good collaboration. Needless to say, if you want to host your website on a WordPress platform, it can be a great choice. Even more, since you can choose from a large selection of hosting packages, you can get the best results and work as you need with the budget you set for your small business. iPage represents one of the interesting solutions when you want to build your website from scratch. It comes to meet your needs when you want to create a simple site from different templates. It also works well when it comes to WordPress integration and since you also get a bonus package for advertising, it can represent a good starter solution for many users. With 24/7 support, it comes with everything you need to get started. The hosting company represents one of the interesting solutions when it comes to an improved performance. Even more, it represents a great solution for many users who are looking for better overall integration of the basic packages which is easy to achieve even for the non-technical business owners. With an included marketing package, the host can prove to be a solution to consider among the best on the market. A2hosting is one of the important names in the industry which offer everything you need for your small business with Magento, WordPress, Drupal, Joomal and OpenCart integration. It represents one of the best solutions when it comes to meeting different budgets and as you may expect, the differences between shared and dedicated hosting are considerable so you’ll need to plan accordingly. The hosting company represents one of the most interesting solutions when it comes to an improved performance. It comes to meet the needs of modern users who are still looking to work with the most popular solutions on the market. The good news is that you can choose the type of specialized hosting you need. Finding the Best Website Hosting for Small Business can represent a challenge, especially if you are on a tight budget. The good news is that there are solution for all types of businesses and that you will need to find the right solution when it comes to your own needs and your own budget. While there are many great solutions to choose from, you need to decide if you need shared or dedicated hosting and you also need to find solutions in terms of CMS such as WordPress or OpenCart according to the type of website you want to work with. For most businesses, Inmotion Hosting (ACTIVATE DISCOUNT HERE) represents the best choice. It comes to meet the needs of the modern users with complete packages. You can easily choose between the shared hosting which includes VPS or the dedicated hosting which allows you to enjoy better overall speeds and traffic management results. With available reseller hosting, Inmotion comes to meet the needs of all types of customers and small businesses. Since their packages vary in budget, you will thus need to establish your expectations and work with solutions which are the right choice for you. Even more, it is also important to consider that you can have the opportunity to work with great options which allow you to maximize your results in terms of your clients’ experience which is the determining factor in the end. This can also help you make an informed decision as it allows you to see the hosting package from the perspective of the client which needs a fast and safe website to get in contact with your business. We consulted this top list of web hosts to bring you this useful guide.